The fundamentals of software development and infrastructure have hit a rapid period of change. Marina and boat club managers have more choice than ever before. There is often a very real trade-off between the complex and the simple. A complex and cumbersome system may manage everything but do nothing great, or newer systems that do a few things very well with a modern workflow and user experience, do not manage all of the potential services and components of your marina. The size of a facility, whether it has one or multiple facilities, the different services it offers, the location, how technologically progressive its boaters are, how many transient bookings it takes each year and the facility’s access to good internet are all things to consider when choosing a new software system. A key differentiator between marina software systems are cloud hosted systems using a Software-as-a-Service (SaaS) business model, or a locally hosted product with a one-time purchase and additional fees for updates, customization and bug fixes. This article will explore cloud hosted software and SaaS with the goal of helping marinas decide what kind of software is the best fit for their different facilities. Up until the 1980s, computing power and storage were very expensive. Only large organizations could afford to use computers. They were centrally located and internally networked to workstations. In the ‘80s and ‘90s, computing power and storage became cheap enough for individuals and smaller organizations like marinas to have their own computers. Niche software companies followed with products like marina management software. After the turn of the century, the internet became robust enough to allow the reliable, free flow of information between computers. Companies began to provide remote data storage and computing power accessible anywhere with an internet connection. This “timeshare” of computing power and storage became known as cloud computing. With this huge change in the infrastructure and in how software lives, a new business model was established, software-as-a-service (SaaS). Instead of buying a software product, customers access the software remotely and pay a regular service fee. From a practical perspective, SaaS evolved from the usage fees that developers have to pay to companies like Amazon and Google who own the cloud infrastructure. Another outcome from a strong and robust internet is a software system that can easily share information and collaborate with other systems. Most marina software systems are built to collaborate with accounting systems like Quickbooks through an application-programming-interface (API). Increasingly, software products not only collaborate with other software products by sharing information, but are themselves a patchwork of different software products designed to work together through APIs. The vehicle in your driveway is a collaboration of multiple manufacturers who specialize in building different components. Modern software development is much the same. In a cloud-based system, bug fixes and updates can be implemented as easily as refreshing the web browser. It is also a lot easier to turn features on and off. A well-designed piece of modern cloud software can add features such as a service yard module, or remove it and hide its user interface (UI) components reducing clutter. Permissions among marina staff related to who sees what, or who can make changes to information on the system, are easily managed. In the recent past, one of SaaS’s biggest selling points was that it was cheaper than buying off-the-shelf software and maintaining the hardware to run it. As the features, functionality and impact of SaaS has grown, the price has increased. 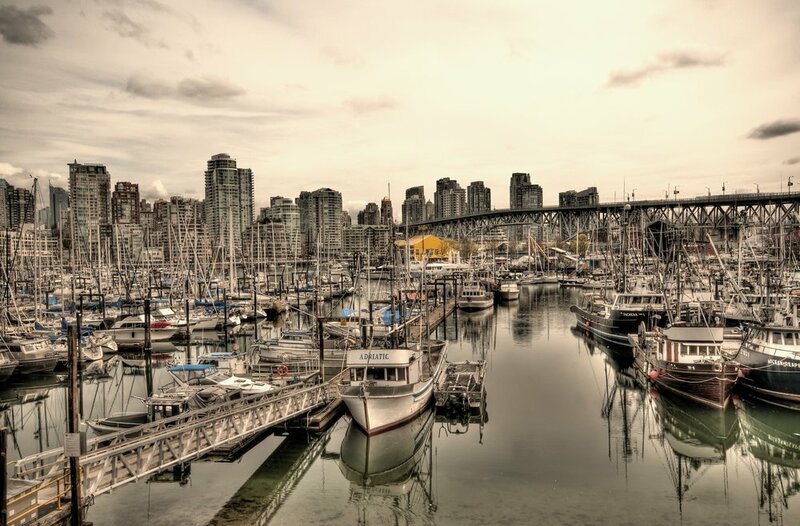 The benefits that justify higher prices include increasing revenue through more efficient use of the marina’s resources, easy access of the system from anywhere, automating tasks and processes, increasing accountability, reducing wasteful purchases, managing multiple properties, helping to set slip fees, and helping to make better capital expenditures. Data security is important in any discussion about software. Cloud-based solutions hosted by major cloud providers have significant redundancy built in to ensure data isn’t lost, even if something happens to an individual data center. They also have to meet strict industry standards including certification and regular audits. In general, all professionally developed software is very secure. The vast majority of data breaches are a result of human error. Regardless of choosing a cloud or locally hosted solution, every marina and club should have clear training and procedures on opening e-mail attachments, clicking unknown links or exporting customer data. So what are the key factors when deciding between a cloud-based service or stand alone product based solution? How good is the internet connection in the marina office? If marinas operate on a literal or figurative island with intermittent internet, they should probably go for a locally hosted solution. A lot of SaaS products won’t work without a decent internet connection. How complex are the operations? If the facility has a service yard, restaurant, nautical store, and an RV park and want all of the different components managed through one system, it is hard to find a cloud-based solution that can do it all well in 2018. Companies are frantically building out cloud-based solutions with new features and functionality to meet customer needs. It won’t be long before facilities can pick and choose modules to fit all of a marina’s needs on cloud systems. How much of the operations rely on transient boaters? Online booking platforms are growing rapidly connecting transient boaters with available space at marinas and clubs. Reducing the friction connecting supply (available slips and moorings) with demand (boaters looking for short-to-medium berthing) is easier with a cloud system. How technologically advanced are a marina’s customers? Cloud systems are building boater focused components using mobile applications as the delivery mechanism. These mobile apps are currently rudimentary, but their features and functionality are growing quickly. More technologically advanced customers also demand cloud enabled features like the ability to pay bills online and generally reject any processes that involve paper. What are the marina’s compliance needs? A lot of marinas and clubs are owned by government entities who have rules and regulations around customer information management and accounting that go beyond private sector norms. Newer cloud systems will probably require some dedicated work to meet these requirements, which will take time and could include customization fees. Does the operation manage more than one facility? It is technically possible to use an off-the-shelf system to manage multiple properties by hosting it on the marina’s servers and using a virtual-private-network (VPN), but this tends to be awkward. Cloud-based systems are inherently suited for multi-property management. Regardless of what management software a marina decides to use, there will inevitably be trade-offs. Managers are faced with a lot of choices. The best way to approach the process is to write out the constraints of your organization including the key features and functionality that the marina needs. This will help to objectively review the different products out there on the market and lead to the right questions when engaging with sales people. Sending a limited number of questions and asking for a brief written response can also help narrow choices. Online or in-person product demonstrations are also important. Just because a vendor touts “cloud” as a major feature that doesn’t mean the software itself will adhere to modern user interface norms or functionality.